Acetylcholine is a neurotransmitter that functions primarily in the hippocampus of the brain, assisting the nerves to communicate with one another and form memories. Lack of acetylcholine has been linked to Alzheimer's disease, according to "Foundations of Nursing," which is one reason you may want to increase your levels of acetylcholine. A variety of vitamins, herbal supplements and medications can be used to raise your levels of acetylcholine. Consult your physician prior to using any dietary supplements or medications to increase your acetylcholine levels. Consult a physician specializing in anti-aging medicine. Some medications, such as dimethylaminoethanol and pyroglutamate increase acetylcholine production. Dimethylaminoethanol slows the breakdown of choline, providing the body with a greater opportunity to turn the choline into acetylcholine. Pyroglutamate speeds the production of acetylcholine. Both of these drugs require a prescription. Discuss dehydroepiandrosterone and pregnenolone with your physician. These hormones stimulate the hippocampus to release additional acetylcholine and are available only by prescription. Take a daily vitamin B complex supplement. Purchase a supplement that contains vitamin B1, vitamin B6 and vitamin B12, all of which are critical to the synthesis of acetylcholine. Take a daily ginkgo biloba supplement. 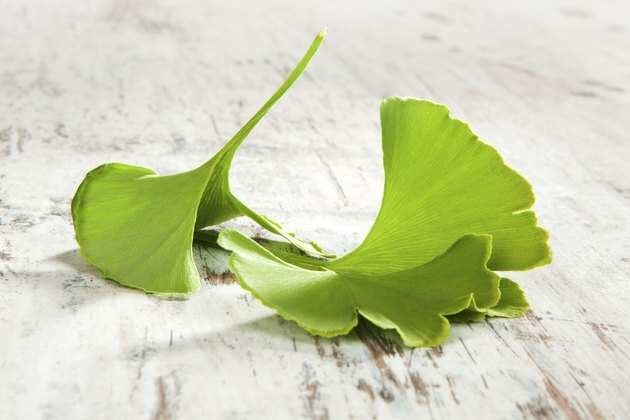 Ginkgo biloba purportedly stimulates the brain to absorb acetylcholine. Always check with your doctor before taking nutritional supplements such as ginkgo biloba.